Smoky grilled burger flavor enhance with sweet bell peppers. 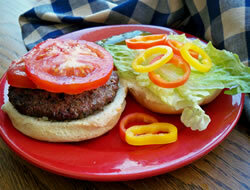 The sweet taste of the peppers makes an interesting flavor combination with the smoky grilled flavor of the burgers. 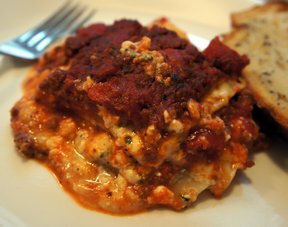 Who doesn't love a great lasagna? Creamy cheese layered with tomato meat sauce and pasta. 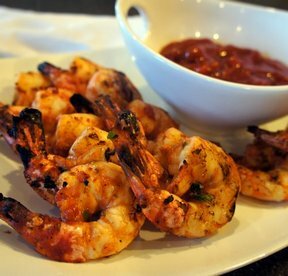 Serve this with a side salad and garlic bread. This can be frozen, thawed and cooked for a great way to have a meal ready for those busy nights. 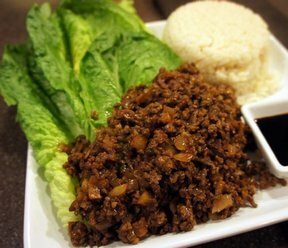 Ground beef is flavored with tasty Asian soy and hoisin sauce and water chesnuts add just the right crunch. this is all wrapped up in a crisp lettuce leaf. Serve with white rice if desired. A super easy slow cooker recipe that is delicious. No pre-cooking anything, just layer ingredients and turn on the slow cooker. You will love how easy this recipe is and your family will love how good it is. 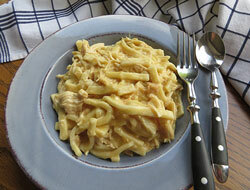 This slow cooker chicken and noodles recipe and a side of vegetables makes a nice weeknight meal all on their own. If you are looking for more, add a toss salad or some fresh fruit. 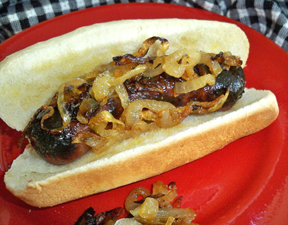 Grilled onions make the perfect, simple but flavorful, brats and onion sandwich. The slightly charred onions add just the right touch to these brats. A simple comfort food made elegant with the addition of lobster meat. 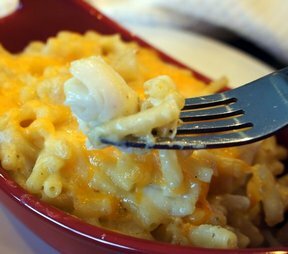 You can substitute crabmeat if you like and it will taste just as good.